Acid to End His Life. Samuel Trainor, a packing house employe, living with his aged mother at 1316 Wyoming street, Kansas City, Kas., yesterday afternoon committed suicide by drinking the contents of a three-ounce bottle of carbolic acid. Trainor was 43 years old and had been working steadily. Mrs. Trainor said yesterday that her son had come into the room where she was sitting about 4:30 o'clock in the afternoon and placed a bottle on the table. "Well, goodby mother," he said, as he walked from the room. After leaving his mother the man walked into a bed room and lay down on the bed. When found a short time later he was dead. The body was viewed by the Wyandotte county coroner. Funeral arrangements have not yet been made. KILLS SELF ON "HOBO HILL." Under a tree on "Hobo Hill," an elevation overlooking the Missouri river near the foot of Main street, Jesse M. Skarling, a painter, killed himself yesterday afternoon by swallowing about four ounces of carbolic acid. Depression on account of his wife's illness is thought to be the cause. Beside him was a note which furnished the only identification. "My name is Jesse Skarling," the note read. "My dear wife's name is Ida Skarling. My mother lives at Muskogee, Ok. Goodby, friends." The man evidently had thought about committing suicide for several hours. Beside his body were dozens of cigarette stubs and the grass indicated that he had moved several tim es as the sun shifted. There was no label on the bottle and no indication where the acid was purchased. After viewing the body, Deputy Coroner Czarlinsky ordered it sent to O'Donnell's undertaking rooms. With an uncorked chloroform bottle fastened to the bed in such a manner that every drop fell on a towel laid over his face, Albert Sarbach, a prosperous merchant of Holton, Kas., was found dead in his room in the Baltimore hotel at 8 o'clock yesterday morning. Deputy Coroner Harry Czarlinsky said Sarbach probably had been dead two days. No motive for the suicide could be found yesterday. The only thing that could be found of a significant nature was a bottle of carbolic acid, possibly to have been used had the chloroform failed. That Sarbach contemplated suicide, though no motive was given, is the opinion of officers who investigated the matter. In one of his pockets was a will which was made out on April 20. The writing was identified as that of Sarbach. Mr. Sarbach is supposed to have gone to his room some time around midnight Saturday. He took the key out of the door, evidently knowing that the maid would use the master key to open the door, and find his body. The maid opened the door Sunday morning and saw Mr. Sarbach's body lying across the bed. She th ought that he was asleep, probably suffering from the effects of a bad night, and as he was dressed and the bed was made she hurriedly closed the door and went about her work. She returned to the room in the afternoon and when she saw the body was unmoved she concluded that he had not awakened. Yesterday morning when the housemaid found his body in the same position as the day before she summoned the housekeeper and it was discovered that he was dead. 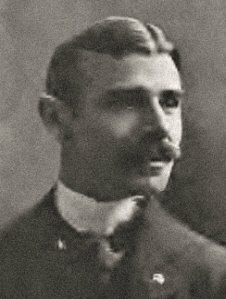 Sarbach was a member of a prominent family of Holton, and was unmarried. He was a thirty-second degree Mason, and had held various offices in the order. At the time of his death he was grand treasurer for the order in Kansas. At one time he was mayor of Holton, and until his death was a member of the board of regents of Campbell university, located there. He was elected to the Kansas legislature in 1900 on the Republican ticket. He is survived by a brother, Max Sarbach, and two sisters, Carrie Sarbach and Mrs. Sarah Lehman. The body was taken to Stewart's undertaking rooms. Dr. Czarlinsky said no autopsy would be held. 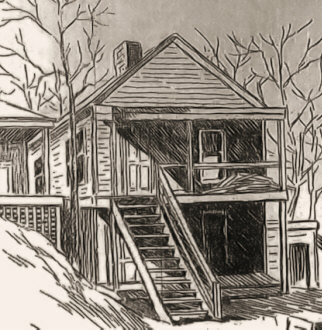 Mr. Sarbach's uncle, W. W. Nailer, called at Leo J. Stewart's undertaking rooms and identified the body, which will be sent to Holton for burial. Samuel B. Strother, public administrator, was yesterday afternoon appointed by the probate court to take charge of Albert Sarbach's estate. This move was made so that the coroner may turn over to Mr. Strother any personal property Mr. Sarbach may have had in this state at the time of his death. When told of the suicide of his brother Albert at Kansas City, Max Sarbach collapsed. The Sarbach store was closed. No probable cause for the act is known to members of the family. Sarbach is reputed to have been wealthy. He operated grain elevators in Holton and at Della, Winchester, Boyle, Half Monn, Larkin and Circleville, Kas., in addition to his mercantile establishment. No financial losses sufficient to cause suicide are known. Roanoke car No. 604 committed suicide last night at 7:30 o'clock by running down Ninth from Washington street and dashing itself against the trolley pole at the southeast corner of Ninth and Wyandotte streets. So carefully was the act committed that no one was hurt and the tracks were left clear, but the car was smashed to kindling. No. 604 returned from a hard day's work and was put into the car barn at Ninth and Wyandotte streets by Motorman Floyd Dyer, 809 West Twenty-first street. It was raining and there was a despondency in the air, but the car manifested no signs of the deep design it was nursing within its breast. Fifteen minutes later, when none of the street car men was looking, it poked its nose out of the barn and started, gathering speed as it progressed. A girl clerking at a laundry agency across the street from the barn saw it start. "There was no one on or near the car," she said. "It came out deliberately like a living thing, and ran away before anyone had time to stop it." Two street car men saw the runaway after it had gone half a block and ran after it. Fortunately there were no cars on the track in front and the rain had driven pedestrians from the streets. Detective Andy O'Hare, who was waiting for a car at Ninth and Wyandotte streets, saw the car bearing down upon him. The trolley was threshing wildly although it had been on the wire when 604 left the barn. Grinding the speed limit beneath its wheels, the suicide leaped the track at Wyandotte steret, instead of making the turn, and precipitated itself sideways against the granitoid walk at the west side of the Boston Drug Company, on the southeast corner. It was brought to a stop by an iron trolley pole, and the bed of the car left the trucks and fell sideways on the walk, completely blocking passage. Only two windows in the drug store were damaged. Every window in the car ws broken, the front end was ripped open and a few solid planks were left. The wreck was entirely clear of the tracks and traffic was not delayed. Dyer, the motorman, is positive that he set the brake before leaving the car. "Clear case of suicide, probably due to despondency brought on by the whether," was the verdict of the wreckers who cleared the debris away. ENDED HER LIFE IN A WELL. cide at 3026 Jackson Avenue. Despondent and suffering from a protracted illness, Miss Anna Shinogle, a seamstress, ended her life yesterday afternoon by drowning herself in a well at the home of her sister, Mrs. John E. Asher, 3026 Jackson avenue. The suicide occurred about 3:30 o'clock, and the woman gave no intimation that she contemplated taking her own life. Miss Shinogle was 32 years old. Her father resides in California and a brother, Edward Shinogle, lives at 906 Spruce street. There is no longer any doubt as to the identity of Miss Effie Sloan, the young woman who committed suicide by jumping from a third-story window of the general hospital April 3. Miss Sloan was the daughter of Mr. and Mrs. N. M. Sloan of Jasper, Ark., according to several letters found yesterday in her trunk. It is apparent from the letters that the parents live on a farm a few miles from town and that the girl had been away from home a year or more. "Do come home, dear; we are so anxious to see you once more," is a phrase which occurs many times in brief notes from father and mother. "We thought a long time that you had been killed in a railroad accident and we have worried our hearts sore," says one of the letters, signed by the father. The fact that several women who knew Misss Sloan here professed to believe that she was using an assumed name led to the investigation of her effects by the administrator and the coroner at the Wagner undertaking rooms yesterday. Nurses and patients at the general hospital were startled and shocked last night when Effie Sloan, a patient, committed suicide by leaping from a window on the third floor to the ground below. She was dead when assistance reached her side a few seconds after she jumped. Miss Sloan entered the hospital on March 31. She was assigned to the ward on the third floor in which were other women patients. The woman was very restless on Saturday afternoon and night, but yesterday the physicians noticed that she was very quiet. About 7:00 last night as one of the nurses passed her cot she asked for a glass of milk. the nurse started after the milk, and Miss Sloan arose from her bed. After getting up the patient walked the length of the ward to a window. She raised it and began climbing up on the sill. Two patients, Misses Cora Smith and Lulu Williams, took in the situation and ran towards her in an effort to prevent her from jumping. As Miss Smith reached the window Miss Sloan threw herself from off the window ledge. Succeeding in catching only a slight hold of the gown worn by the woman, Miss Smith was not able to hold her long enough to give Miss Williams time to help. Miss Sloan weighed about 160 pounds, and the woman who attempted to hold her against the window sill by her gown weighs 120 pounds. When Miss Sloan broke from the grasp of Miss Smith, her body shot downward to the turf beneath the window, and the two patients screamed and fainted. The nurse on duty in the ward immediately notified the internes who ran to the woman's aid. It was found that her skull had been fractured and that death was instantaneous. When Miss Sloan entered the hospital she gave her age as 26 years, and her residence as 1123 Oak street. The coroner was notified of the suicide by Dr. J. Park Neal and asked to make an investigation. Decomposed almost beyond recognition, the body of William Ward Mitchell, author, poet and editor, was found in the Blue river at Blue Mills yesterday afternoon. 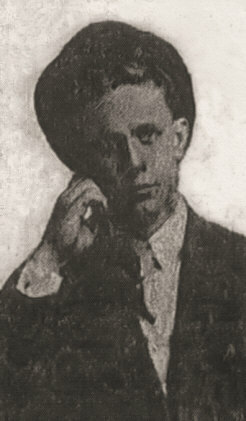 Mr. Mitchell had frequently talked suicide to his physician, Dr. Ralph W. Holbrook, 415 Argyle building, under whose care he had been for several weeks during the past year, and it is believed he accomplished his own death. Seven years ago, or thereabouts, Mr. Mitchell was the editor of the Higginsville, Mo., Jeffersonian. During that time Mr. Mitchell wrote several books which attracted more or less attention. Perhaps the most popular of them all was "Jael," a historical novel of local setting. Two years later the editor became a nervous wreck from overwork and deep study. Last fall he came to Kansas City and consulted Dr. Holbrook, an old friend. Dr. Holbrook advised him to take treatment and he was sent to a local hospital. Natural pride of family and other peculiarities, caused Mr. Mitchell to use the name of M. W. Ward while in Kansas City last fall. In November he was discharged from the hospital and went to board with A. J. Leonard, 1006 Forest avenue. From time to time he was heard to talk of self-destruction, particularly to his friend and doctor. His act of suicide, which was committed about three months ago, being the time that all trace of him was lost, seems to be the outcome of brooding over imagined or real ills. "Mitchell was always a dreamer," said Dr. Holbrook last night, "and his act can readily be accounted for. He considered himself down and out because of his health. Yet in the very midst of it all he would write the prettiest and most optimistic poetry that you ever read. For five years he has not been to his home in Higginsville. His mother is aged an palsied, and has frequently sent word for him to come home. "Mitchell has relatives by the name of Ward who live in Kansas City, on the Paseo, I think." Mitchell's body was taken to Independence, and there a corner of an envelope bearing Dr. Holbrook's address was found in his clothes. Dr. Holbrook was notified immediately and last night he made the trip to Independence by motor car to identify the body. The identification was complete. The clothes which Mr. Mitchell had worn when he committed suicide were the same which he had when he left Kansas City last December. On that occasion he told his landlady that he was going for his mail and then disappeared. Mr. Mitchell was 38 years old. With no external evidence as to how or why they came to their end, J. W. Brault and Mrs. Julia Kenner were found dead in a room at 1517 Troost avenue at 2 o'clock yesterday afternoon. Whether it was a suicide pact between the man and Mrs. Kenner, who may be his wife, or a murder and a suicide, the police are unable to say. The woman was a baking powder demonstrator and about 38 years old. The man at one time was an agent for crayon pictures. He looked to be 45 years old. The couple evidently died yesterday morning. They had been doing light housekeeping and when Mrs. Mary Kimmons, who conducts the apartment house where the two roomed, failed to detect the usual odor of cooking food at noon yesterday she sent W. F. Gray, who, with his wife, lives in the apartment house, to investigate. Gray found the door locked. He climbed up and looked over the transom. He saw the two bodies lying on the bed. That of the man was on its back; that of the woman was lying across him, the hands clasped as if in agony, the face contorted. The police and coroner were united. Two detectives and Deputy Coroner Harry Czarlinsky broke in the door. From the position of the bodies, the detectives were led to believe that the man died first. There were no marks of violence on either body. Poison probably caused the death of both, but only a postmortem examination, which will be made this morning, will establish the fact. When Mr. Gray looked over the transom, he said he smelled chloroform, but no trace of the drug was found. There was a small vial of laudanum on the dresser, but Dr. Czarlinsky said that there was no evidence of laudanum poisoning. Mrs. Gray, wife of the man who made the discovery, said that about 3 o'clock yesterday morning she heard Mrs. Kenner rush across the floor screaming "Help," and "Lord have mercy!" She paid little attention to the cries then, as she and Mr. Gray had often heard the couple quarreling. However, she told Mrs. Kimmons of it just before noon. The dead man and woman came to the apartment house a week ago and registered as man and wife. Many letters addressed to Mrs. Julia Kenner were found, but there was only one that might have belonged to Brault. This one was to the Egg Baking Powder Company of New York and applied for a position as agent. It set forth that Brault had married Mrs. Kenner, alluded to as "one of the company's best demonstrators." It was evidently a copy of a letter Brault had sent to the company. "Letter mailed today. Am well. Lots of love. -- Your Harry." The searchers could find no other indication that a man whose first name was Harry had ever written the woman. Another letter from the Egg Baking Powder Company of New York was addressed to the woman at 1512 Biddle street, St. Louis. The theory the police first entertained was that lack of money had brought on despondency which had occasioned the double tragedy. This was given up when a certificate of deposit for $50 on the Exchange Bank of Kansas City was discovered in the trunk. Dr. Harry Czarlinsky, the assistant coroner, said last night he was entirely at sea as to the method used in bringing death to the couple. He was sure neither gas nor chloroform was used. "My opinion is that the woman killed the man and the in her desperation put an end to herself," said he. "From the appearance of the room and of the bodies I do not consider it possible that some one could have entered the room and murdered the couple." That was also the opinion of Lieutenant W. J. Carroll of No. 6 police station, to whom the tragedy was first reported. The bodies were ordered taken to the Leo J. Stewart undertaking establishment.